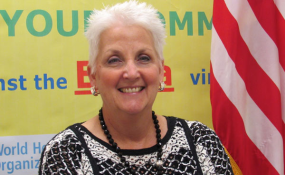 Deborah Malac, the US Ambassador to Uganda (file photo). US investors shun Uganda due a number of obstacles including corruption, according to Deborah R Malac, the US Ambassador. Speaking in an interview, Ms Malac, said US investors operate in an environment that is free of obstacles, highlighting that: "We have strict rules and requirement under which our companies can do business." "So when they [US investors] come into a country looking for opportunities and run into obstacles, they will go elsewhere. And that has been a challenge. We know it's a problem. Government is aware and the private sector here knows it," she said. Traditionally, US and Uganda have a huge trade imbalance with the US department of commerce putting Uganda at position 161st among the country's biggest trading partner. The US, she said, is looking for opportunities here and elsewhere but the business environment is unfriendly. "There are many barriers and corruption is one of them. There is also inefficient system and processes that don't work. So it takes some efforts to show them (US investors) where the opportunities are as well as help them navigate through the processes," she said. However, she said, the US government was ready to help in dealing with some of the problems, to make Uganda attractive to US investors. Last week government signed an agreement with a consortium of US and Italian firms to finance and construct a $4b oil refinery in Hoima district. The project which will be a joint venture, was applauded by Ms Malac, saying the deal was timely and necessary. She said the agreement will not strain the national coffers because the funding of the projects will be sourced from the capital markets by the investors. On Thursday, there will be a coffee expo in Seattle, US where the US Embassy will be part of the team, with Amb Malac playing a leading role in promoting Ugandan coffee in the US market. This was in addition to offering help that will see Uganda benefit from the African Growth and Opportunity Act (Agoa), a US Trade Act, enacted in May 18, 2000. Agoa has since been renewed to 2025. The legislation enhances market access to the US market for qualifying Sub-Saharan African (SSA) countries, among them Uganda. Uganda's performance in Agoa has remained low with the exports under the pact dropping from $3.31m in 2010 to $1.15m in 2014. The poor performance is due to the limited list of eligible products under Agoa which leaves out many products where Uganda has the potential for comparative and competitive advantage. However, Amb Malac admitted there was growing interest from US investors because: "Washington [is aware] that Africa is the next big market. As countries across the continent reach middle income status and continuing to develop their economic activities there is a lot of opportunities for US business in many different sectors." According to Amb Malac, although the interest in Uganda and Africa is not really new, certainly, the US has seen some opportunities and will try to capitalise on them and build on them and if some are successful, it will go a long way in attracting other US companies here. Trade inbalance: Uganda is currently the 161st US goods trading partner with $121m in total (two way) worth of trade during 2016. Goods exports totaled $69m, goods imports totalled $51m. Trade: US trade surplus with Uganda was $18m in 2016. According to the Department of Commerce, US exports. Exports: Uganda was the UN]'s 156th largest goods export market in 2016. US goods exports to Uganda in 2016 were $69m.